In late 2013, we watched our first full-length silent film, “The Thief of Baghdad” from 1924, starring Douglas Fairbanks. Fast-moving with an endlessly engaging score (a loop of “Scheherazade” by Rimsky-Korsakov), it’s a good “break-in” film for anyone unfamiliar with the silent era. Fairbanks excelled at swashbuckling roles, and “The Thief of Baghdad” is one of the swashbucklingest movies ever made. He dances around with his scimitar and dives into the sea to fight off monsters, too. Since that time, we have explored a few other silent era films, including the corpus of Kentucky director and Hollywood godfather D.W. Griffith. 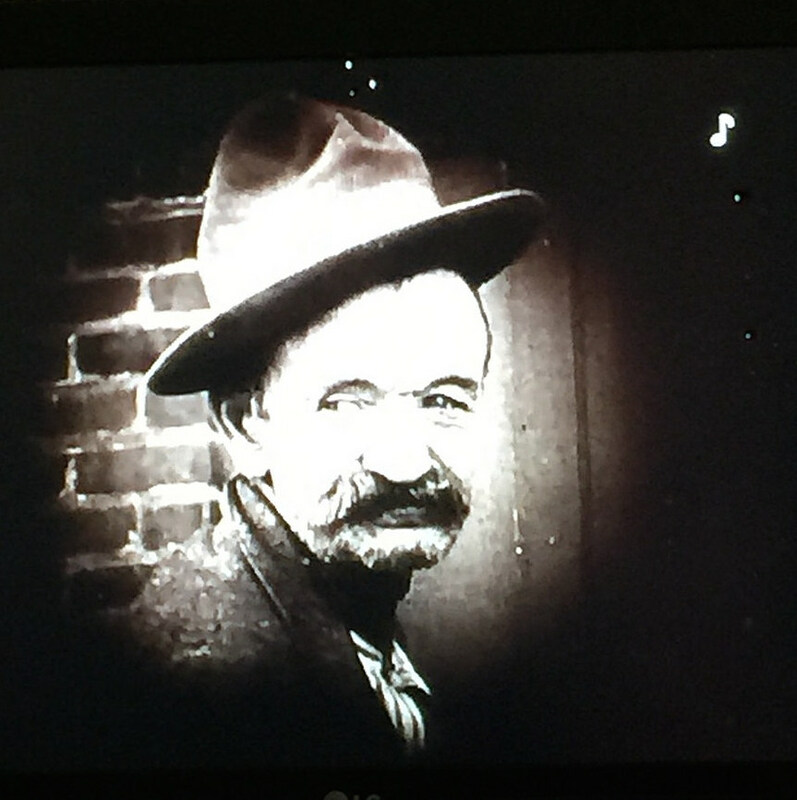 I recently finished his “Intolerance,” from 1916, the follow-up to 1915’s blockbuster “The Birth of a Nation.” The latter rewrote the rules for feature-length films by being essentially the first feature-length film, with a continuous narrative structure documenting the before, after and during of the American Civil War. “Intolerance,” though less famous, may be Griffith’s best work. I have always liked the idea of split stories and parallel action; “Intolerance” provides nothing but for epic 3+ hour duration. There are four stories, each documenting a moment in history when intolerance of other belief systems or moral codes was the preamble to violence: there’s an ancient Babylonian story about the city attack by Cyrus the Great, a Judean story about Jesus, a French story about the St. Bartholomew’s Day Massacre, and an American modern story about a mill strike and a group of, well, intolerable moralists. The variety of “Intolerance” makes its epic running time go by swiftly. Griffith employs many different color prints, a melange of musical samples, and some strange interstitial techniques like a woman rocking a baby in a cradle (representing the passage of time between the film’s chosen eras) and a background shot that includes what looks like the script/screenplay for “Intolerance” itself – how meta. Textual snippets are also given period-specific cards, such a tablet for the Babylonian story. “Intolerance” is 99 years old this year, but perhaps because of its cosmopolitan subject matter it seems less dated than “The Birth of a Nation,” which represented and embraced the retrograde racial attitudes of its period. Another thing that makes “Intolerance” seem so modern is it ambition. The budget ran well into the millions of USD – in 1916! The sets, such as the Babylonian city that Cyrus besieges, are sprawling and look great almost a century on – behind the color-tinted shots and film crackles, they now seem as old as the times they tried to depict. Some of the film’s imagery and topics, especially in the Babylonian scene, remain relevant for 21st century viewers. The issue of whose god is mightier – Bel-Marduk or Ishtar – and the shots of people falling to their deaths while large (siege) towers topple has uncomfortable symmetry with 9/11, for instance. Part of what is so striking to me now, though, about “Intolerance” and silent films in general, is how “Internet”-like the entire experience is. There’s the variable pacing of moving from one card to the next and reading the text, just like one would do with a webpage (with the important and obvious difference of not being in control of the direction – although one could say that people addicted to Facebook or forum arguments are hardly free from inertia in this regard…). There is the card-by-card, shot-by-shot attention to design and layout (“Intolerance” even has footnotes for some of its textual snippets!) as well. Earlier this year, I wrote about “the Internet” is a term applied retroactively to a bunch of actually separate histories – networking, software, hardware, etc. – with the added current connotation as a medium through which its users receive information. It used to be called by different names – “cyberspace” is perhaps the best example of this class of outmoded labels, as it conceives of connectivity as a space rather than a medium – and really if one wants to get technical, the vague principles of “the Internet” go all the way back to the telegraph, which was a much bigger break with what came before it than, say, TCP/IP was with its predecessors. Before watching “Intolerance,” I hadn’t though of silent film as a part of “Internet history.” But the design tropes of silent film are if anything becoming more, not less, prevalent in media. Pushing cards or snippets of content – say, Snapchat Discover, Twitter’s “While You Were Away” feature, or the stream of matches on an app like Tinder – is an essential mechanism for many of today’s mobile services in particular. Integration of video with services like Meerkat (it lets one show live video to her Twitter followers) only makes the lineage from silent film to “the Internet” more apparent. In a way, “the Internet” hasn’t even caught up to the immersive experience of silent films, which often not only pushed discrete cards and pieces of narration at viewers (ironically, to support a continuous narrative) but also featured live orchestras in grand settings. Videoconferencing (FaceTime, Skype) and the likes of Snapchat are Meerkat strive for that same immediacy that Griffith et al captured in the 1910s. One more intersection: For someone used to talking movies, watching a silent film can feel really lonely, because no one is talking. For me, this exact sort of silence and proneness to becoming lost in thought – for better or worse – is endemic to using “the Internet.” It’s strange, really, that in an extroverted society like the U.S., in which silence is barely tolerated in meetings etc., that so much mental energy is channeled into the inaudible actions of responding to emails or skimming BuzzFeed. I would much rather wordlessly watch “Intolerance” again.